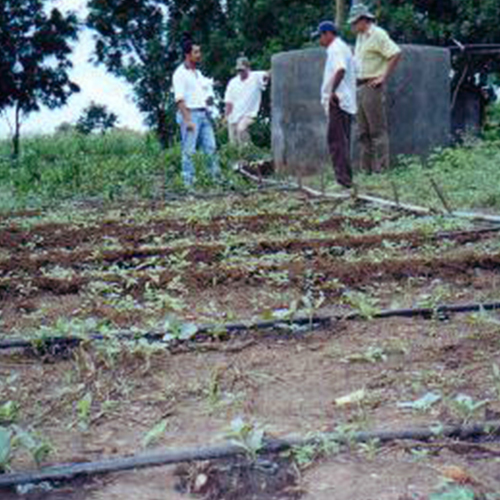 Rope pumps are modern low-cost water pumps for shallow and deep wells. 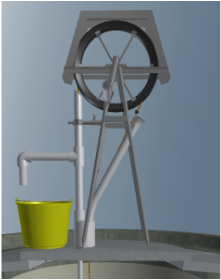 Modern Rope pumps are more efficient than the ancient “Rope and Washer” pumps and motorized versions can pump from hand-dug or tube wells as deep as 90 meters. * Of the hand pump model, over 80.000 are sold in Latin America and thousands in Asia and Africa. In 2008 there were over 3 million people who used the Rope pump. In Zimbabwe and Malawi the Elehant model Rope pump supplies water to over 1 million people. The pump is an attractive product for local entrepreneurs. It Can be produced with materials that are available in local hardware stores and so simple that the users can maintain it and can do simple repairs. Evaluations show that, if well produced and installed, over 90% of these pumps stay working, even after many years of operation. ** Due to the shift from Piston pumps to Rope pumps (on wells to 60 meters deep), the rural water supply in Nicaragua increased 23% in ten years, 3 times faster than other countries. Its low-cost makes it also fit as a family pump where it proves to be a “money-maker”. Even for domestic use, a US$ 60 pump generates additional net income of US$ 220 per year. 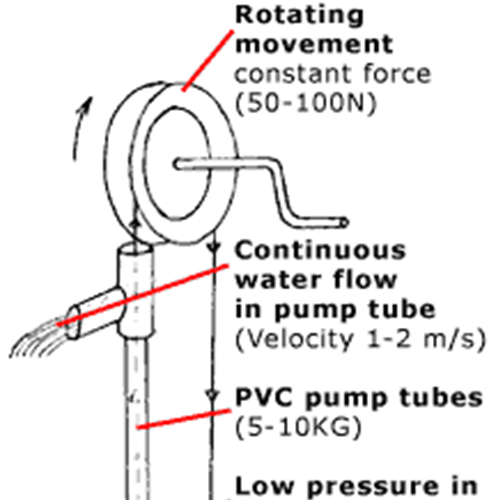 *** Motorized Rope pumps for irrigation cost US$ 350 and generate US$ 1000 per annum or more.